The importance of your mental health and overall wellbeing should never be underestimated. For far too long, the perception of illnesses with less physical signs is that they are considered less serious than ones that you can visibly see. Employers have historically been guilty of showing less compassion and understanding for people suffering from poor mental wellbeing. Fortunately, there is a lot more help and support available these days through a variety of great sources. Exercise is one of the best ways to let your body release tension. Now, if the idea of running around a field is as appealing to you as sticking pins in your eyes, this will not help you and may even make you feel worse. You need to find an exercise that you truly enjoy and, if you find an exercise where you can enjoy a social element as well, then that can give you a good boost as well. Exercise produces endorphins that give you positive feelings, so even if moving about doesn’t seem like the most appealing idea, it’s definitely worth a try. If Zumba doesn’t float your boat and cycling is just a pain in the bottom, don’t do them but do pick something that you will enjoy. Even if it is just inserting some extra walking into your day, every bit of exercise will help. So don’t jump in the car when you need to go to the local shop or to see a friend who lives a short distance away – get your comfy trainers on and walk there. Who knows – the fresh air might even help a little too! It may sound like we’re trying to convince you to live the life of a marathon-running monk, but what you put into your body has a big impact on how you feel mentally. Alcohol seems like a lot of fun at the time and some suggest that small amounts help to de-stress, but it’s important to remember that alcohol is a depressant. If you give yourself a bit of a break from alcohol, you’ll soon start to see a change in your mood. And if alcohol isn’t your vice, but unhealthy food is, this can be just as bad for you. 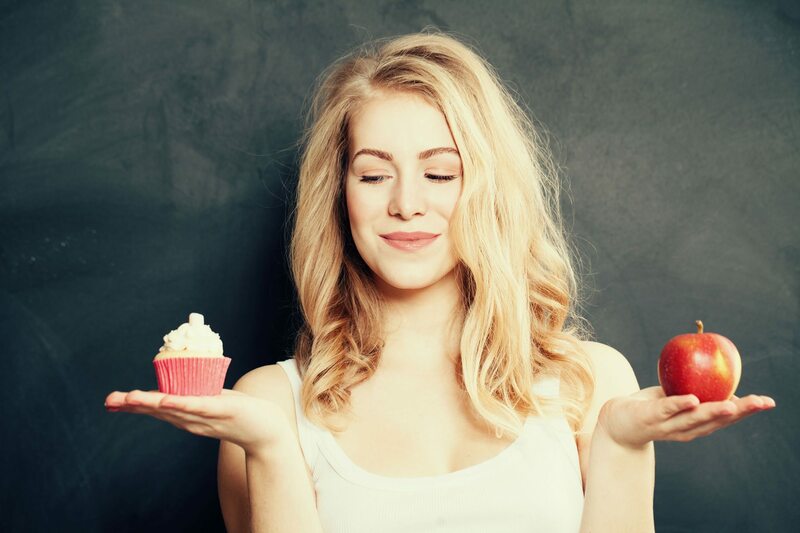 Even though you might think that comfort eating helps your mood, the toxins in unhealthy food can actually have a negative effect on your moods. Eat cleaner and you’ll see all kinds of benefits from feeling happier, to losing weight and even saving money. Sometimes in our busy lives where we we spend our time dashing to work, doing the school run, cleaning the house etc. we forget that we actually need some ‘me’ time. Now, if you can’t afford to whisk yourself off for a romantic day for one at a luxury spa, there are other alternatives. A long soak in the bath, asking your partner for a quick head massage or having ten minutes in the Jacuzzi at the gym can all help us get back some of that inner peace we’ve been missing out on. Lavender is known to have calming effects, so treat yourself to some lavender scented bath oils or aromatherapy candles. This can be easier said than done, especially if you regularly awaken to children causing chaos in the house or your job demands that you are up at the crack of dawn. Your sleep is vital to your overall wellbeing, so wherever you can sneak an extra half hour in, go for it. You probably don’t want your boss to find you snoring away in break room though, even if it is your lunch break – and we won’t even talk about the shames of falling asleep on the daily commute! What are your tips for naturally decreasing stress and improving your mental wellbeing? Share your opinions with us in the comments on Facebook and Twitter. Holistic Gold and Counselling Gold also provide insurance for holistic therapists, insurance for complementary therapists, insurance for homeopaths and insurance for counsellors and psychotherapists. For further information, please visit our Holistic & Complementary Therapy Insurance, Homeopathy Insurance or Counsellor & Pscyhotherapist Insurance pages.